The dutch oven team of "The Meatmen" will be reunited this weekend for a dutch oven gathering. (D.O.G.). The trusty black iron needed to be taken out of storage and given a little TLC in anticipation of the event this Saturday. I wanted to shake a few cobwebs out and have a practice cook. 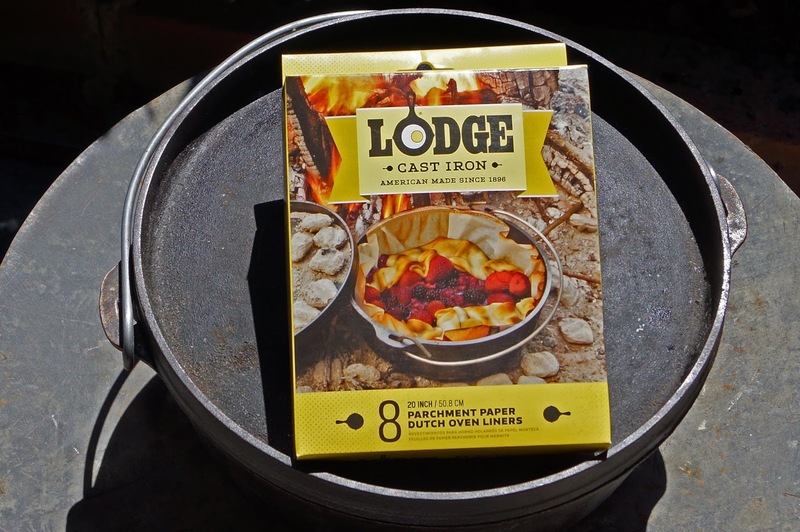 I also wanted to try a new/old product from Lodge.Mfg; Dutch Oven Liners. This is a pre-cut piece of parchment paper that fits inside your dutch oven. This guarantees that food will not stick and will aid in the removal of the cooked dish. Let's build a fire. My usual duties of the Meatmen is to create a bread dish. 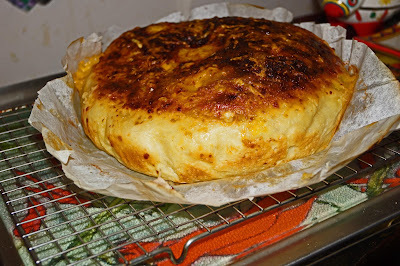 My signature dish is jalapeno cheese bread. One aspect of cooking this bread is removing it from the pan after it has been cooked. There is always a little anxiety that some will stick to the pan and ruin the presentation. Hopefully these liners will remedy this situation. I also have the question will the bread brown through the paper? The recipe was followed normally. I placed the liner in the pot and trimmed excess paper to fit. It was time to cook. The moment had arrived The bread was done. Will it stick? OH MY GOSH!!!!!. The bread lifted out of the pan with the greatest of ease. I removed the parchment paper and the bread was a beautiful golden brown. Dutch Oven Liners are the best thing since sliced bread or Maple Bacon Pop-Tarts. This product is a no-brainier. I wish I had discovered this years ago. Stay tuned, I hope to share images to you from the D.O.G. Really nice, man. I wonder how it would work on other foods? Abram, I will bring them Saturday and we will see. Don't you just love it when a cooking aid actually works! Huzzah! Happy for you! Bread looks fantastic. I have never see the dutch oven liners. Pretty slick. Zoomie, Sometimes an old D.O.G. learns new tricks. Three Dogs BBQ, I got these at Cabelas. 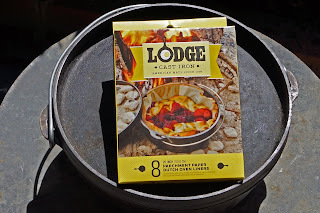 Any place that carries Lodge products can order them. Thanks. I've only just got in to using a dutch oven, so I'm going to have to check out some of your posts - that jalapeno cheese bread looks top notch! gusfacegrillah, Watch out. 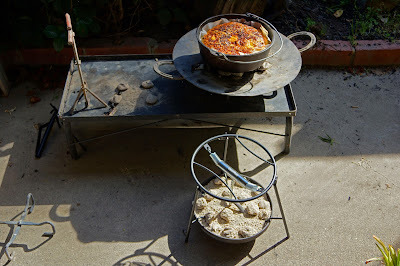 Dutch oven cooking can be addicting.